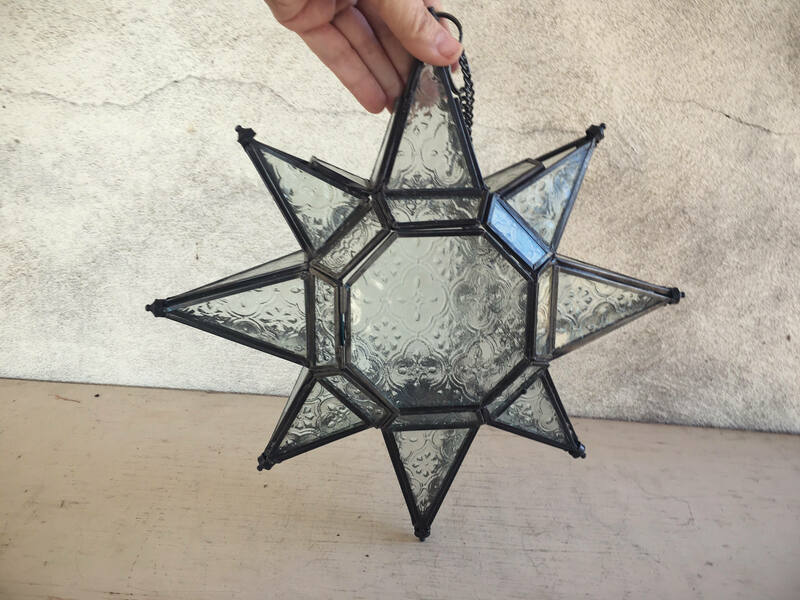 In the world of vintage bohemian candleholders, this three-dimensional glass-and-metal star stands out for being that one you just had to have in the 80s. Maybe you could have bought it at a Pier 1, or maybe then the World Market was coming online, and the candleholders were expensive then but well made, and it was the kind of thing you bought and used and maybe broke because dang, we would move from apartment to apartment then and no one took very good care of their stuff, especially all the glass and brass stuff that we bought. 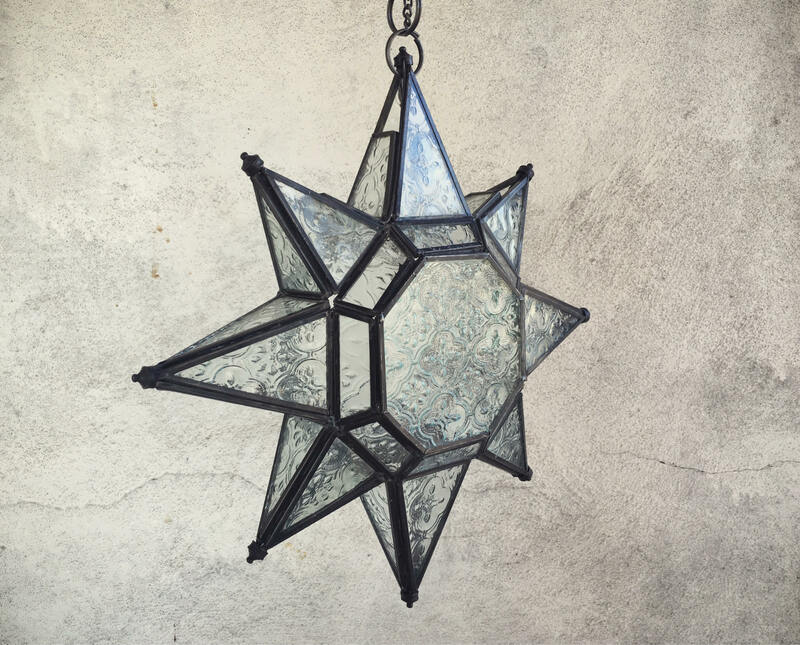 So imagine my delight to find one of those heavy star candleholders, they're called Moravian stars, and they have a Morocco origin. 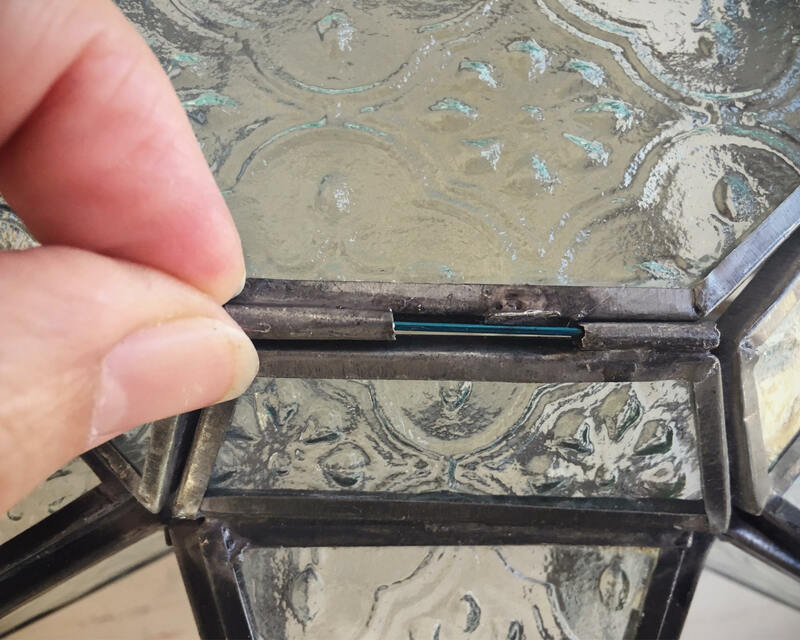 This one is has pressed glass and good soldering along the edges, and the main issue is that the hinged door doesn’t have a lock, but otherwise the whole thing is solid and gorgeous. The star measures 13" across and tall, and about 3" thick. 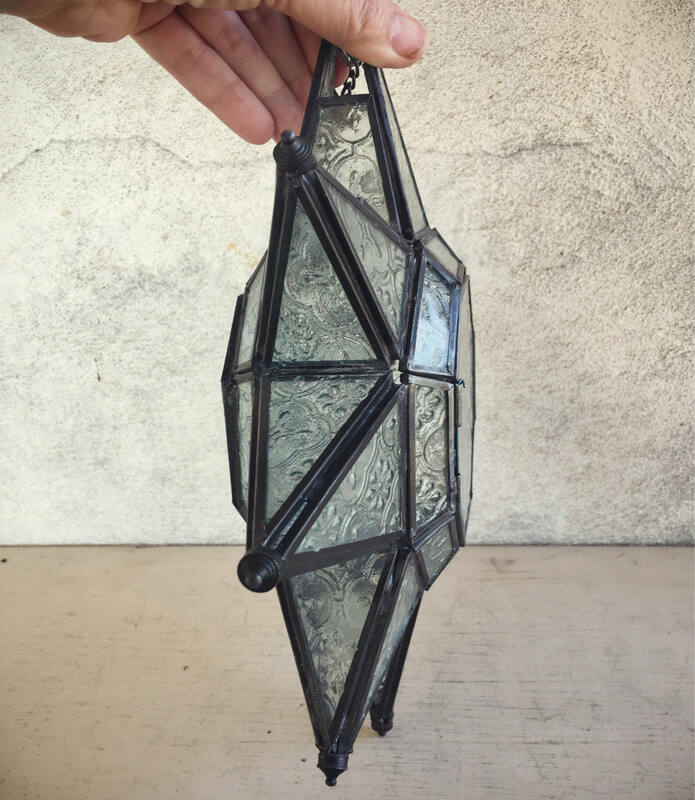 The candleholder was never used, which we know because of the lack of wax and charring on the interior. Likely was hung via the 20" chain, which has some substance to it. Besides that wobbly door, which does not stay locked, is in good vintage condition. 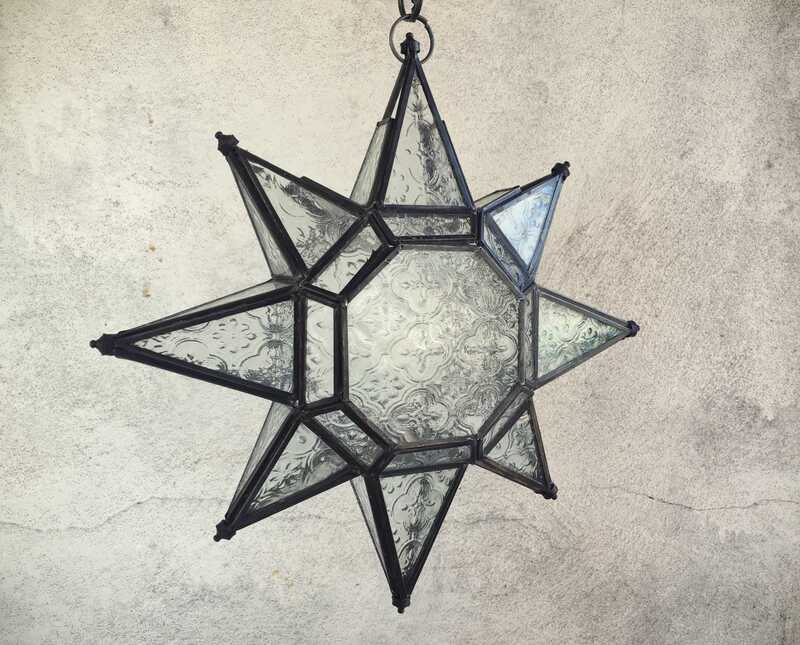 Fabulous decor, for the boho loft or the hacienda. 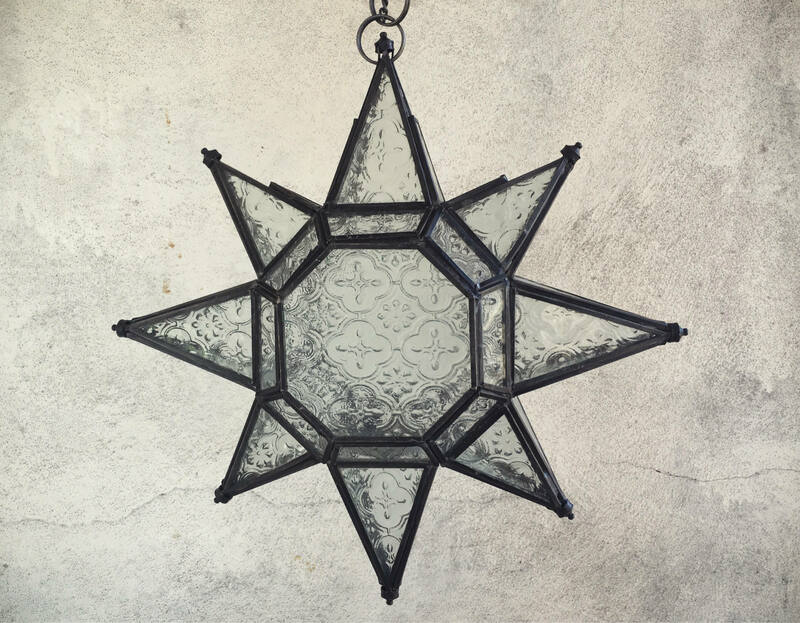 This magical star arrived in perfect condition, b/c of your careful and detailed packing! Thank you so much!!!! I hung her up the moment she arrived, and she now lights the way to our home! Blessings of JOY! Flawless transaction! 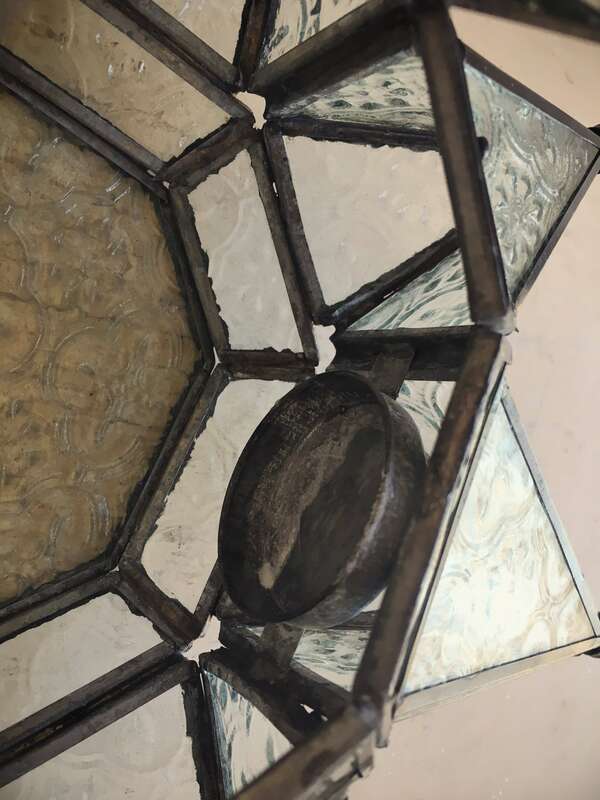 Seller goes above and beyond! 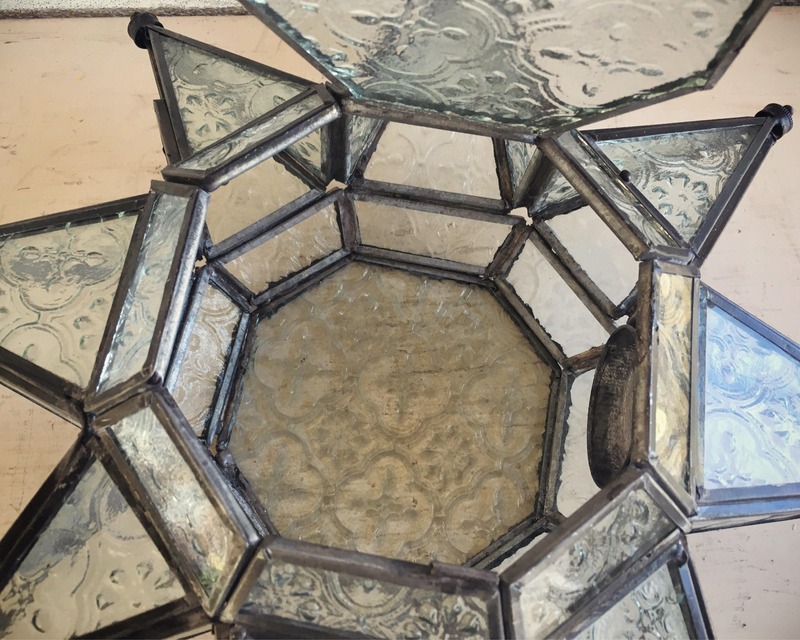 Gorgeous item arrived well wrapped and double boxed - cannot wait to display it in our new home!